For so long, we've been rooting for another JaDine big screen material that we will fall in love with. Something that can replicate the triumphs of the TV series 'On The Wings of Love'. We've waited for a worthy follow-up to 'Diary Ng Panget'. After 4 years, we finally have 'Never Not Love You', a JaDine film not just for JaDine fans but for everyone who has fallen in love for at least once in their lives. 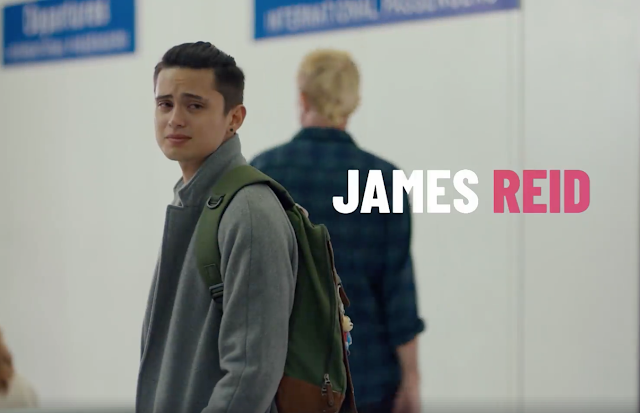 James Reid is Gio, a freelance graphic artist who sidelines in a tattoo shop in Manila. It's where he met his client, Joanna (Nadine Lustre), a management trainee in an ad agency. Gio sets up a love affair with Joanna until the couple are faced with challenges of choosing between love and career. The film started as a narration of the seemingly common battle of choosing between personal growth and good relationship. It's about two different dreams taking off at such a wrong time. However, 'Never Not Love You' dives into a deeper conflict. That the people we love are changed by time and by dreams. That sometimes, we are not willing or ready to accept who they are now. That we miss the warmth brought by the old her because the new her needs us less. 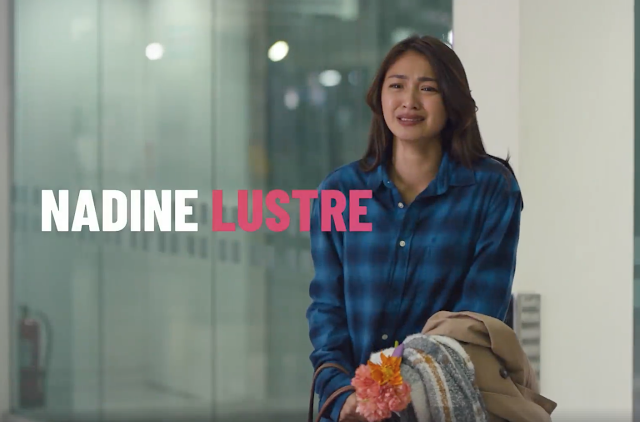 Moviegoers have been praising the maturity that the JaDine tandem showed in the movie. That is true. For the first time, a JaDine piece is devoid of the usual romance antics that are just intended to make die-hard fans scream. The love story here is laid out in a different taste of rom-com; tender, truthful, not theatrical. Something with similar vibe to the Paulo Avelino and Maja Salvador-starrer 'I'm Drunk, I Love You'. However, this appears to be more refreshing because we have two of the country's most heavily commercialized actors telling the story. You can tell that being in a relationship in real-life is working towards JaDine's advantage. There's no faking the warmth of seeing them kiss. There's not a more sincere way of saying 'I love you' to each other than the way they do it. (Or maybe I have to watch more romantic films). The body language is just different. They don't need to cry loud to be heard. Just one sad face and you're there with them. I've read stories of unprofessionalism. But whether these issues are true or not, you have to give it to James and Nadine for doing a great job in this film. They've just made a material that has elevated their careers, making them ready for almost any kind of roles. They have just made themselves ACTORS. More of the credit, however, has to be given to Antoinette Jadaone. This filmmakers' magic continues from 'That Thing Called Tadhana' to 'Love You To The Stars and Back' and to this movie. You can tell that Viva Films has given her so much artistic freedom. It is proven by how she managed to liberate the movie from anything formulaic. Well, not exactly free because our conscious selves can still notice the major appearance of City Blends, a JaDine brand. That said even if it has been carefully woven into the story. Much of the films' sexiness is infused by the beautiful lighting. Neon lights popped in the tattoo shop scenes which exhibit probably the film's most exciting visuals. A brief snowing also provided a much more sentimental air in a London sequence. It's quite refreshing also to see a foreign location that is mainly used to bolster the credibility of the film's plot. 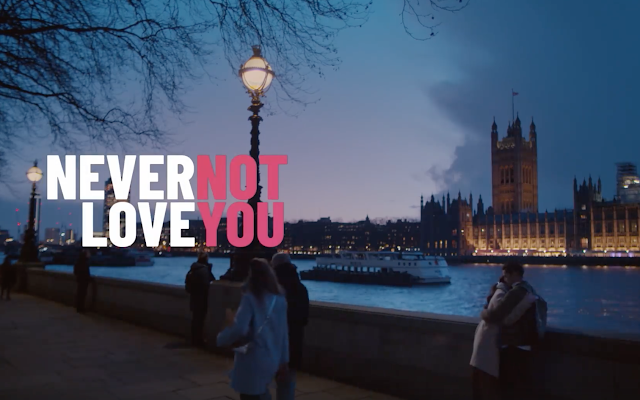 Unlike other local movies that are filmed in foreign cities, 'Never Not Love You' is not peppered with beauty shots of London. The British capital served as nothing more than a quiet backdrop, a representation of the longingness and the challenge imposed by distance to the two lovers. If you are looking for touristy imageries of London, this isn't the material for you. If huge production houses and the most followed celebrities in the country will continue giving us movies as beautiful as this, then we can be off to the golden age of entertainment. Maybe, that is when we can watch James Reid and Nadine Lustre portray more compelling truths about being husband and wife. It's when we can see more cinematic pieces as inspiring and beautifully told as 'Never Not Love You'.